Janet Olson, founder of A Better Life Dog Rescue, certainly doesn’t thinks so. Some internet critics paint her as an overzealous animal activist, calling her “a danger to dogs and dog owners” and citing her run-ins with the law as reason to ignore her cause. Although Olson will be bringing the animal cruelty aspect before council, that isn’t her only argument. She says that anti-chaining legislations have benefits to the community as a whole. This isn’t a new concept. 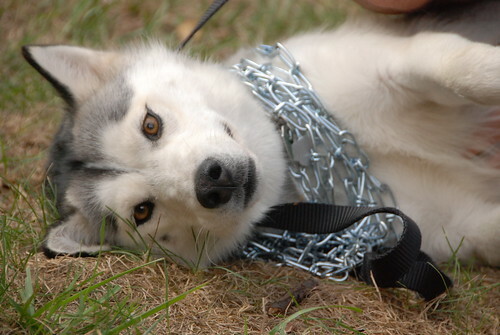 Lion’s Bay, a community in Vancouver, has already implemented an anti-chaining legislation, as have some states in the U.S.
Olson said that these laws have led to a decrease in dog bites and a reduction in animal control workload overall. If there is something that might improve our community as a whole, shouldn’t we hear out the idea, no matter who proposes it? Read it here: The end of chained dogs in Surrey? ← Will more lanes fix 32nd’s traffic problems?